Botched executions and the future of America’s death penalty. The ability to execute without mistakes has always been valued by the state. Yet despite the long history of human experience—and the promise of efficient new technologies—executions still go awry, more often recently than in the distant past. According to execution statistics*, 8.53 percent of U.S. executions were botched between 1980 and 2010, compared to a mere 3.15 percent from 1900-2010. Electrocutions were particularly problematic in the aforementioned thirty year period, with a 17.33 percent botch rate—a rate surpassed only by that of lethal gassing (30 percent). 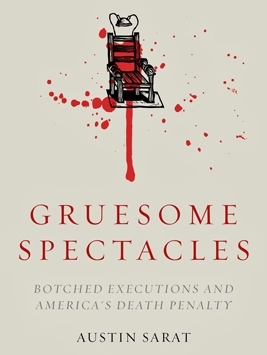 In “Gruesome Spectacles: Botched Executions and America’s Death Penalty” (Stanford University Press), Austin Sarat—the William Nelson Cromwell Professor of Jurisprudence & Political Science at Amherst College—examines the history of botched executions in the United States, aiming to discern: how botched executions have been treated in law and popular culture; and the extent to which the legitimacy of the death penalty depends upon the capacity of technology to produce executions that are both reliable and humane. In the following Failure Interview, Sarat explains the role of botched executions in the effort to end capital punishment, and opines on the future of the death penalty in the United States. How do you define a botched execution? By a botched execution I mean an execution that does not comply with official protocol or standard operating procedure for that method of execution. During the time period you studied, what percentage of executions were botched? Over the period of 1890-2010, about three percent of all American executions were botched. Is that an acceptable error rate? That is a large question and one of the questions I hope the book precipitates. Botched executions exist on a continuum. Some are technical failures; the protocol prescribes that death shall happen between three and eight minutes and death doesn’t happen for a half-hour. On the other end, there are botched executions that are by anyone’s definition inhumane. For example, an execution in which the inmate catches on fire. So to answer the question of whether three percent is an acceptable error rate, you have to drill down and understand the nature of the errors. You also have to put this into context. The United States is in a period of national reconsideration of capital punishment. The number of death sentences over the course of the last decade has been cut by two-thirds. The number of executions—going back to the late 1990s—has been cut in half. And while thirty-two states have the death penalty on the books, in 2013 only fifteen states imposed the death penalty. The largest reason for this national reconsideration has to do with the practical realities of capital punishment. There are increasing doubts about the accuracy and reliability of the guilt phase in capital cases. There are increasing doubts about the adequacy of the penalty phase in determining who should get the death penalty. And my book raises the question about whether we can accomplish what we set out to accomplish in a way that comports with American values and commitments. 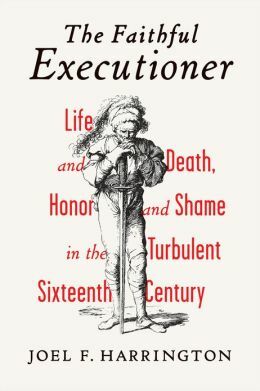 Which method of execution has been least reliable? [Between 1900 and 2010] lethal injection had the highest rate of mishaps, with about seven percent of lethal injections being botched. It did because the claim about lethal injection is that it is safe, reliable, and humane. Lethal injection is a bureaucratized, allegedly sterile, and somewhat medicalized procedure, so in that sense, yes, when I started the work, I wouldn’t have predicted that lethal injection would have the highest rate of mishap. But in retrospect it’s not all that surprising. Some of it has to do with the refusal of the American Medical Association to sanction the participation of physicians. When it goes easily—when there is a vein that is easy to find—it goes easily. But when there are difficulties, because you are trying to find a vein in an intravenous drug user and the vein collapses, or you are trying to find a vein in someone who is dramatically overweight, relatively untrained personnel have difficulties. And my research stopped in 2010, and since then the refusal of European drug manufacturers to supply the chemicals that had previously been used has set off a period of experimentation in which states are trying to find drugs and use drug suppliers without any real confidence that the drugs are going to do the job or that the suppliers are going to be able to provide the drugs that are needed. In Tennessee, they’ve made moves to bring back the electric chair. If we go back to what I said earlier about this period of national reconsideration and also the extent to which the legitimacy of capital punishment is dependent upon a set of beliefs and scientific progress, I think the movement in Tennessee to bring back the electric chair—and in Utah to bring back the firing squad—suggests a serious political problem for proponents of the death penalty. That political problem may not necessarily play out in Tennessee or Utah, but it will play out across the country if states use methods of execution that have proved to be unreliable [electrocution] or indecent [firing squad]. Are there any botched executions that stand out above the rest? There are two that stand out because they are cases in which the botched execution did not result in death and the inmate was removed from the death chamber. One was the execution of Willie Francis [electrocution, Louisiana, May 3, 1946]. The other was Romell Broom [lethal injection, Ohio, September 15, 2009]. Francis was ultimately put back in the electric chair a second time and executed [on May 9, 1947, after a failed appeal to the Supreme Court]. Broom is still on Ohio’s death row. Why should the state care about the suffering of the people it puts to death? The primary reason has to do with the constitutional commitment to avoid cruel and unusual punishment. The Eighth Amendment’s prohibition of cruel punishment expresses something that is central to American constitutionalism—a commitment to restraint. We care about the suffering of those we put to death because we are committed to punishing in a way that allows us to say that what we do is different and better than those we condemn. Maintaining that fidelity to the Eighth Amendment is central to why we do care and why we should care. What role have botched executions played in efforts to end the death penalty in the U.S.? Until very recently they played very little role. Part of the reason is that botched executions are treated in law and popular culture as mere accidents. They have been seen as isolated events. My hope is that by providing a historical overview, the question of whether botched executions are mere accidents can be re-examined and the question about whether or not three percent is an acceptable rate can be engaged in the political and legal process. But something is different now. The attitude of Americans towards the death penalty is so changed and the questions that are being raised about the system are so serious that what happened in Oklahoma several weeks ago [Clayton Lockett’s botched execution] is now part of the unreliability of the system of capital punishment. In and of itself, I don’t think what happened in Oklahoma would propel a national reconsideration. But in the context of what is happening with DNA and the exoneration of the innocent and what is happening in terms of an awareness of racial discrimination and the death penalty, it’s another weight on the scales tipping against capital punishment. What changes minds about the death penalty? What is changing minds are not abstract moral considerations about what people deserve. What is changing minds is an awareness of how the death penalty system actually works. In the past most of the conversation about the death penalty was at a high moral level about the dignity of the condemned or what punishment someone might deserve for committing a gruesome crime. Today, more and more people are thinking not about the abstractions but about the concrete realities. It is perfectly possible to be in favor of the death penalty in the abstract, but deeply concerned about the possibility of executing the innocent. It is perfectly possible to be in favor of the death penalty in the abstract, but deeply disturbed about the possibility that race plays a role in determining who gets the death penalty. It is perfectly possible to be in favor of the death penalty in the abstract, but to worry that three percent of executions going wrong doesn’t comport with our constitutional commitment to the avoidance of cruel and unusual punishment. The question of the death penalty today is not just what the death penalty does for us but rather what the death penalty does to us, and the damage that the system is doing to American values. The more light is shed on those realities the more the death penalty system is in trouble. What do you see as the future of the death penalty in this country? I think the death penalty is in decline and that we are on the road to abolition. It’s not going to happen quickly and it’s not necessarily going to happen with a grand gesture. The death penalty is becoming the prerogative of a few states, and even within those states of a few places. In a process where we’ll go two steps forward, one step back, we’re going to see the abolition of the death penalty if not in my lifetime then in the lifetime of my children. * Appendix A, “Gruesome Spectacles” (Stanford University Press, 2014). 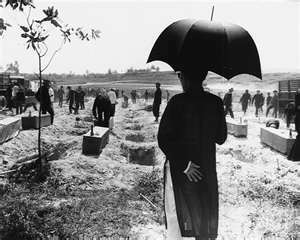 The Hue Massacre—The world remembers My Lai, why not Hue?